We use a vornado heater in our living area. 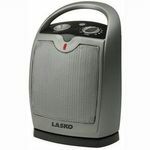 It is a very small heater, but it does such a good job of heating the area. Performance You set the thermostat to the temperature you want and forget it. Cleaning is super easy, too! Ease of Use It is very easy to use this heater. Set the temp you want on the heater, it has a timer and remote that are very handy. 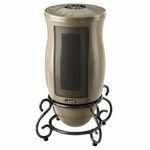 Durability We have used this heater two winters and are extremely happy with how this heater is holding up. 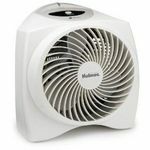 Design The vornado takes up very little room, has an easy to see programmable readout, goes off if tipped over and does not get hot to the touch. It is small so it would fit in with most decors. Safety Doesn't get too hot to the touch and if tipped over goes off. Amazing. 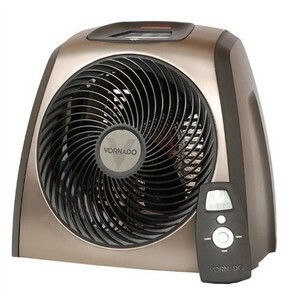 Vornado has raised the standard for compact heaters. The TVH 600 is the best heater I have ever owned, hands down.The remote control actually senses the air temperature, and the system's heating cycles are based on the remote, instead of the temp at the unit. The touchscreen display is very easy to use, and makes it simple to adjust the many settings that you can customize. I have had experience with other Vornado products, so I already knew the fan that is built into these heaters make these function very well, and very efficiently. 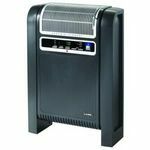 This is no exception- in fact the heater design in the TVH 600 seems to be one of Vornado's best yet.I love the look and feel of this too- it has a steel case and is solid, yet lightweight enough to go anywhere in my house. 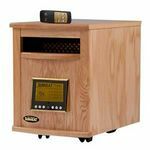 It's definitely worth a few extra bucks considering all of the extra features.If you are in the market for an energy efficient space heater with some seriously smart technology, this is a great pick.